Harley axis folding boardroom tables, unqiue folding frame mechanism allows the table to remain structually strong whilst also folding to allow for easy storage. The harley axis boardroom tables are modular so can be configured to create a boardroom table, a meeting room or even class room enviorment. 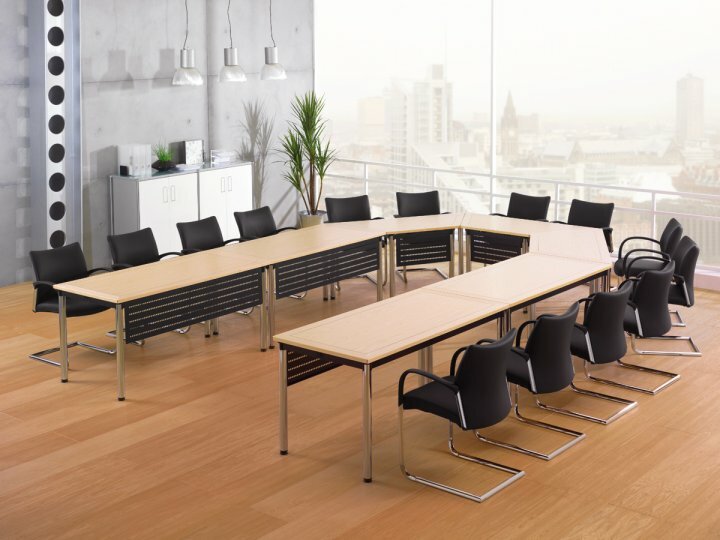 The flexibility of the harley axis boardroom tables enable you maximise space using a room for multuple purposes. The harley axis boardroom tables are available in a range of laminate and veneer finishes with either a black or chrome frame, due to the folding nature of the harkey axis boardroom tables we would reccomend using a laminate finish as this is will be harder wearing and less likely to be damaged from constant moving and storage. Planning a new boardroom or meeting room can be difficult, knowing how many tables you can fit or what the best layout for thos tables would be, to help you through the process we offer a free design and space planning service, managed in house by our team of designers and project managers we will create a 3D visual of your boardroom or meeting room, so you can see exactly how your new space will look, this also gives you the opportunity to experimnent with layouts and tables to ensure you get the best solution for your space. 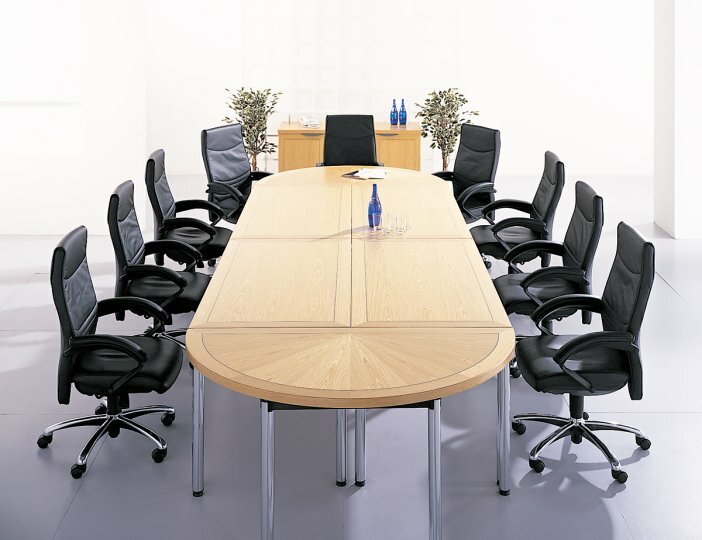 Contact our team for more information or browse our range of harley axis boardroom tables.